We have finally moved into our new but temporary office/warehouse the first of April at 1118 Sawdust Rd Spring, TX 77380. We have added to our inventory the EMV card readers and displays for Hantle and Genmega ATM's, EMV card readers, 1K cassettes and thermal print heads for Hyosung ATM's and soon will have the 8" and 10" displays. We have great prices on receipt paper for Hyosung and Genmega ATM's and ATM LED signs. ATM Houston is extending our NAC 2018 show specials through the end of December. We are also adding GivePay to all of our Hyosung ATM's. GivePay will allow you to buy gift cards from restaurants, department stores, pre-paid cellular service and more. Another addition will be adding BitCoin purchases at our Genmega ATM's. This should all be implemented by the end of the month. ATM Houston will be at the NAC 2018 trade show in Las Vegas. This year we are a sponsor with our eCommerce site www.atmsamerica.com and are giving away several of our products as raffle prizes. ATM Houston is now a member of the Hospility and Lodging Association of Greater Houston. This was a perfect fit for us since we excel in the placement of ATM's in hotels and they are a major part of our business. We will be at HLAGH Annual Houston Hotel Market Forecast Luncheon and Business Expo on September 20th at the Hilton Americas Houston, 1600 Lamar Street in downtown Houston. We will be in the business expo offering our service and products to owners and general managers as well as show off our work in other hotels in the Houston area. Our first Hyosung MX2800 Force is now on location. We also now have ATM alarm systems and LED ATM signs. Our new alarm systems retail price is $79.95 and the ATM LED signs are $19.95 each or can be purchased by the case of 20 for $300.00. Both items can be purchased on our eCommerce site www.atmsamerica.com We are also now members of the the Hotel & Lodging Association of Greater Houston. We have started taking orders on the all new Hyosung MX2800 Force. We only have the Hyosung literature so far but with all of the new features included, this will be used to upgrade our high volume locations as well as several more coming up this and next year. You can read all about it at www.atmsamerica.com and place your order on our secure eCommerce website. Shipping is expected to start May 21, 2018. Beginning May1, 2018 we will install a new Genmega G2500 with electronic lock for the low price of $1,695.00. In order to receive this great price you will be enrolled in our lifetime warranty program and furnished with the all new 4G LTE wireless router for the low price of $49.95 per month for five years. You will never have to pay for any repairs, software updates, receipt paper and keep all of your surcharge. This is a limited offer and may be withdrawn at any time without notice. 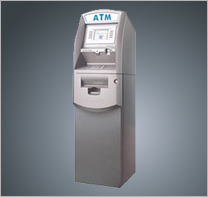 ATM Houston has ended the distributorship with Puloon ATM's. The new terms, conditons and warranty were unfavorable to us in general and the warranty period was changed to half of our other manufacturers such as Hyosung and Genmega. We will, however, maintain the Puloon we have sold to our customers. Work has now begun on a new National presence Ecommerce website to provide sales of new and used ATM's, parts, supplies, wireless routers and more. Completion of www.atmsamerica.com is expected early August 2017. New and existing customers will be able to create an account on our secure website to purchase anything and everything to do with Puloon, Genmega, Hyosung and Hantle ATM's. In additon to sales we will be offerring a wireless router system for complete business internet continuity on a monthly data plan manufactured by a trusted name in the industry. Beta testing will begin late June to early August. This wireless router will be perfect for bars with multiple games that require internet to operate such as juke boxes, golf and more, any business that processes credit cards with internet enabled credit card machines such as restaurants, fast food, dry cleaners, grocery stores, convenience stores, liquor stores. ATM Houston is proud to anounce that a distributor agreement with Puloon USA to distribute the new Sirius I and Sirius II ATM's has been signed. Curently Puloon has been ceritified with Switch Commerce and Columbus Data and other processors are in the process of certification. We look forward to representing Puloon as we do with Genmega, Hantle and Hyosung. ATM Houston has been chosen as the preferred ATM provider for major hotel management firm. With many properties already open, ATM Houston has completed the installation of ATM's in all current locations and with several more openings in the next year. 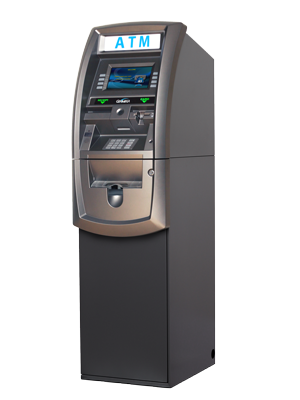 ATM Houston will be installing more in Conroe, Katy, Shenandoah and Houston. ATM Houston expands service to Katy, Baytown, Clear Lake and Galveston with ATM's in several locations. This past Friday October 21, 2016, the full MasterCard EMV liability shift went into effect for all ATMs in the U.S. NAC has done all in its power to make you aware of this impending deadline, and it is now here. Unfortunately, according to industry statistics shared last week at NAC2016, only one in three/four retail ATMs in the U.S. are EMV ready at the present time. As such, the potential exposure is significant. The U.S. ATM industry is a tight-knit community of business owners and vendors striving to provide convenient cash and account access to consumers throughout the nation. We have faced many challenges and struggles together over the past few years, including significant costs for implementation of new Americans with Disabilities Act (ADA) regulations, rampant ATM bank account closures via misapplication of Operation Choke Point, continual security updates, deep drops in interchange payments to ISOs/IADs, excessive and mislabeled “Foreign Bank Fees” and, most recently, the wrath of an unprecedented U.S. EMV ATM liability shift.